Every New Year’s, one of the top resolutions is to get outside and get healthy, but now more than ever, doctors are actually prescribing it. And we all like resolutions we can keep. So this year, instead of resolving to join another aggressively-crowded gym in January only to give up in a month, why not try a different tactic to achieve your health goals? Try a park prescription. In San Francisco, we’re lucky enough to live next to the Golden Gate National Parks. At the Institute of the Golden Gate (a program of the Parks Conservancy in partnership with the National Park Service), we’re celebrating the growing park prescription movement by choosing time outside to improve health and well-being. 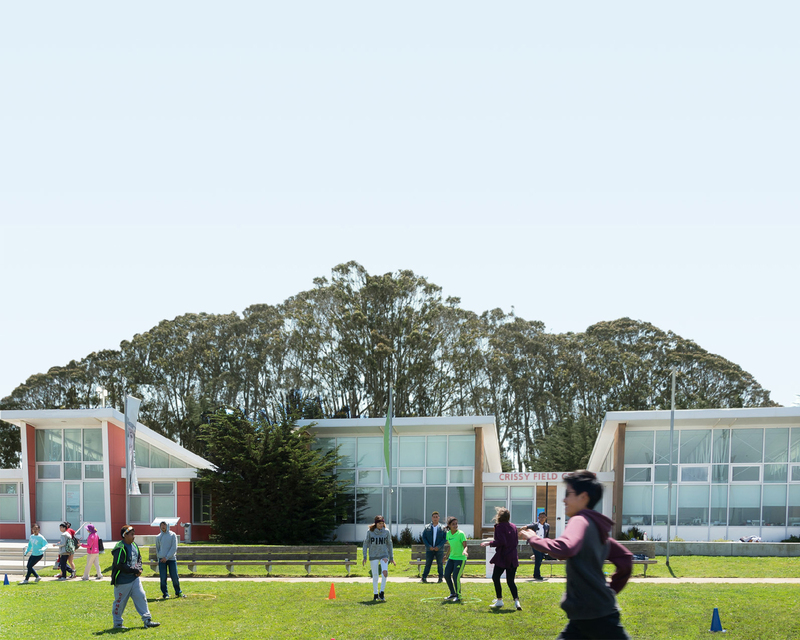 For over 10 years, the Institute at Golden Gate has led and supported the ParkRx movement, promoting the health benefits of nature with practitioners and park-goers from around the nation. Time magazine recently examined the Institute’s park prescriptions initiative, and how physicians are encouraging patients to get outdoors and take advantage of what many view as free medicine. You can read the Time article here. A blog post by Betty Sun—program manager with the Institute who oversees health initiatives and explores opportunities at the intersection of parks and health—about our ParkRx program mentions several case studies that further highlight this growing movement of using the outdoors for our health. She also outlines how people are being prescribed outdoors time. Public health has been an important aspect of the National Park Service (NPS) since it first started in 1918, as parks are seen as places for respite from cities and pollution, places to connect with nature, and get healthy with outdoor exercise. Health promotion by NPS is covered in an initiative called Healthy Parks Healthy People and especially targets both children and the elderly. 1. The Department of Environmental Conservation lists several health benefits of being out in nature: It boosts the immune system, lowers blood pressure, reduces stress, improves mood, increases ability to focus even in children with ADHD, accelerates recovery from surgery or illness, increases energy levels, and improves sleep. (Source: Department of Environmental Conservation). 4. Simply gazing at nature (a tree out your window or a photo of a serene vista) has been linked to an increase in productivity. (Source: Harvard Business Review Green). Curran White contributed to this article.